BC is home to the largest population of mountain goats in Canada with 90% of the country's entire population residing in mountainous areas of British Columbia. Our mountain goat hunts run from August 1st to mid October. This guided hunt season runs parallel with our moose, caribou and bear hunting seasons affording hunters great opportunities for guided hunt combinations along with their mountain goat hunts. 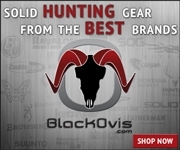 We offer 1x1 or 2x1 backpack guided mountain goat hunts. Our backpack mountain goat hunts can involve a large degree of walking to get back to where nobody else goes, where large trophy billies call home. Clients should be in generally good physical condition, able to hike, climb and carry a 35lb. backpack into the back country. Packers are available in advance only and cost $2000 for the duration of the hunt payable in advance with the balance of your hunt. Typically it takes 2-5 days on the mountain to harvest a billy. Your hunt starts out at our base camp where we organize gear for our 2-7 night trip. Once on the mountain we will be staying in tents and meals consist of mountain house, trail mix, various bars and high value foods. We have been doing this long enough to be able to keep our packs 35-40lbs for a 7 night trip. It is recommended to carry a wolf tag on our goat hunts as quite often we'll see wolves hunting above timberline. This hunt is something you must do to really appreciate the mountains for what they are. It is an experience all of its own and when you are finished you'll have a renewed sense of self and what you can do. We have a premier area that consistantly produces successful hunts. 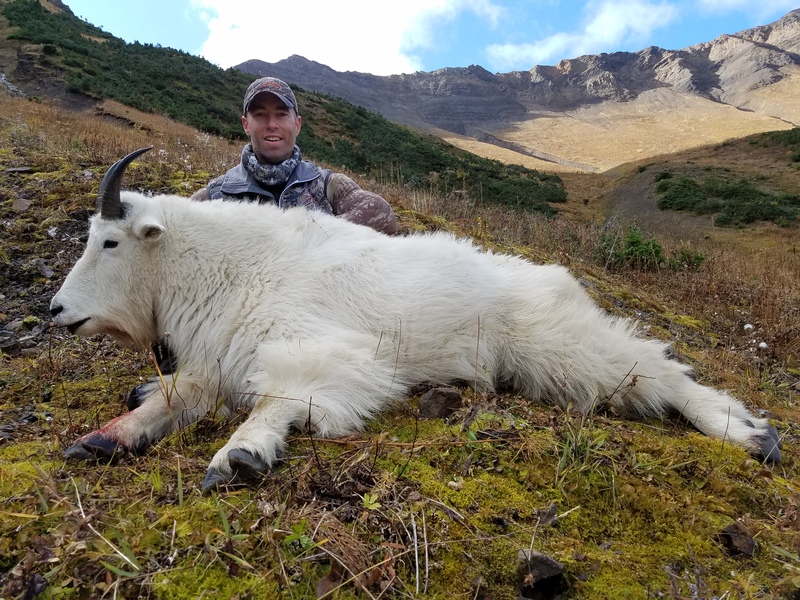 If you are a serious hunter looking for a great hunt, book a 1x1 mountain goat hunt direct with us and I can guarantee you an opportunity on a goat or you can come back for no cost.